I love reading this book around the holidays. My mom got me hooked on the movie as a child but the book is even better! This book is sweet, but perhaps a trifle unrealistic. Except for a few incidents, the sisters seem to get along perfectly with one another, and for that matter, with their mother, who they almost never argue or find fault with, elevating her to what appears to be a somewhat god-like status in the house. Coming from a house of four girls myself, I have to say that Alcott's potrayal of family life is overly simplistic and a bit annoying. It would be nice if everyone was as perfect in real life as they are in her little world, but that's just not the case. If sticky-sweet, gushy family scenes don't bug you, then you might enjoy this book. A heartwarming account (loosely based on the author's life) of four sisters growing up absent a father during the Civil War era. Their strong-willed mother teaches them to be moral and kind, independent thinkers and advocates for women's rights. Mostly it is a story of family life, squabbles between sisters, the growth of the girls' characters as they approach womanhood and marriage and Jo's aspirations to be a writer. The characterization is wonderful, the morality lessons are tastefully presented and the tragedy and triumphs of this family has touched many hearts and made this book a classic. 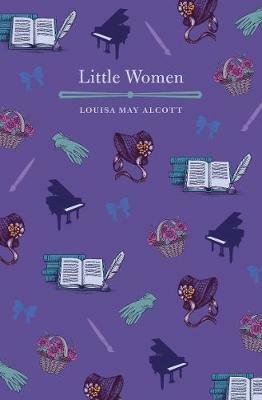 It's a good read, but Alcott gets downright preachy about morals and so forth, rather than letting her characters make her points.